That image above is from a tweet the RNC chair, Ronna McDaniel posted to Twitter this weekend. Well let’s look back on the calendar to 2009. At the point in time from when McDaniel tweeted this, Obama would have been President for a whopping 6 days. Not even a full week on he job. 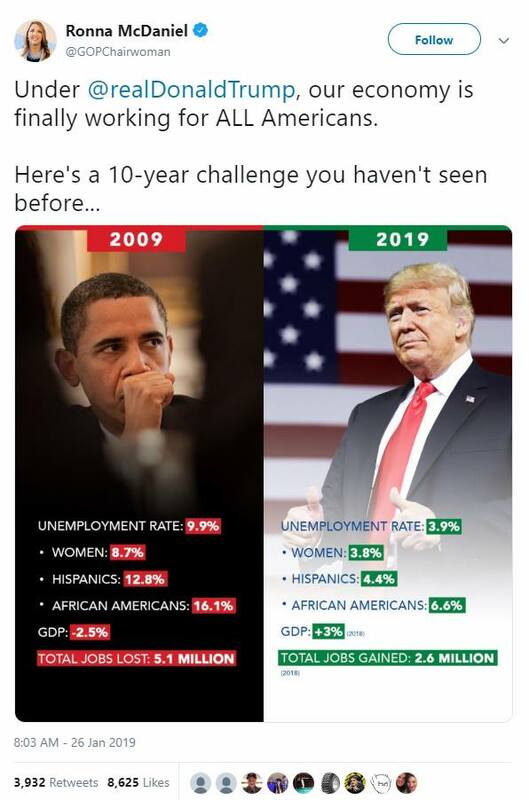 So while McDaniel is falsely blaming Obama, it actually highlights just how poor an economy is after 8 years of a Republican being in The White House. And Twitter took notice bigley.